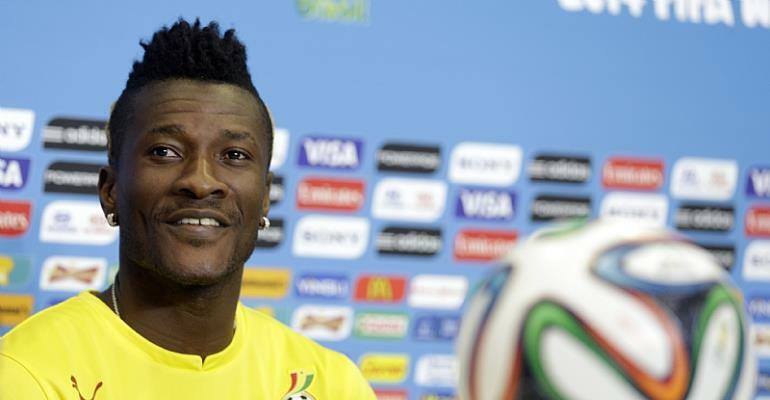 Black Stars skipper, Asamoah Gyan has called on journalists to halted their unfair criticisms ahead of the 2019 Africa Cup of Nations. According to him, the criticisms have a negative impact on the young players which affect the performance of the playing body. The Black Stars wrapped up their AFCON qualifiers by defeating Kenya 1-0 on Saturday to finish top of Group F.
Kwesi Appiah and his playing body has been charged to end the country's 37 years trophy drought by winning the ultimate. However, the Kayerispor forward has pleaded with journalists to support the team and insisted the unfair criticisms affect the performance of the young players in the team. “Journalist have done so well to the development of the game in the country. But they should refrain from destructive criticism of Black Stars players, especially against new members of the team,” he told Asempa FM. “I have a Tiger heart, so I am able to withstand all kinds of criticisms from the press, but most of the young ones can’t, so they should take it easy on them. “I am not saying they shouldn’t criticise. They should, but constructive, if not these players will go for the AFCON with this in their head and that would affect them negatively as we look forward to winning the competition after years of failing to rule the continent. The 2019 Africa Cup of Nations will is set to kick off from June 21 to July 19.